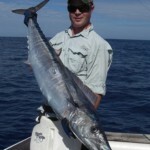 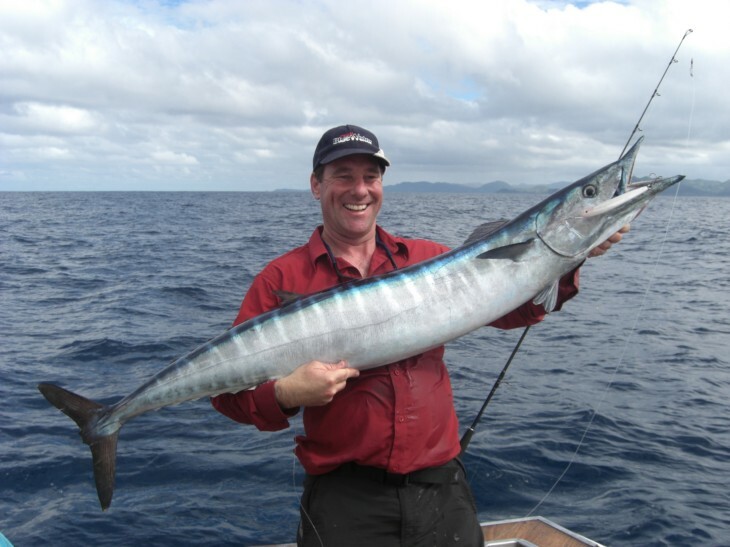 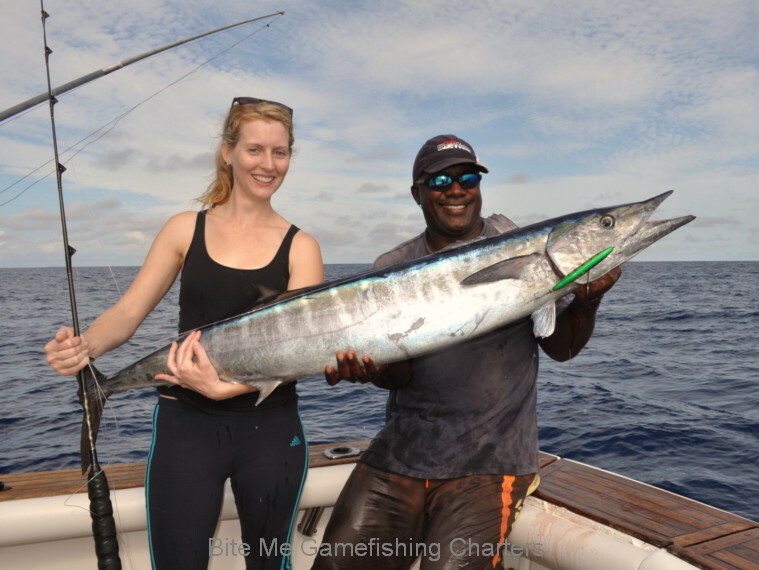 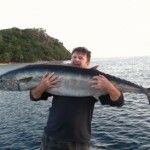 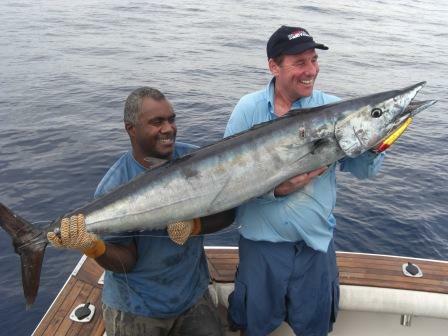 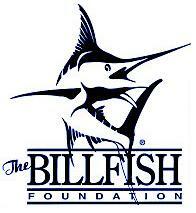 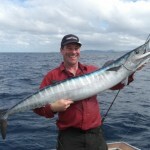 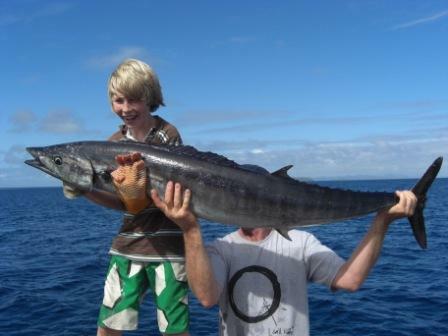 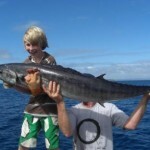 Trolling lures until we find a pack, we usually then switch to a couple of rigged garfish (ballyhoo) baits. 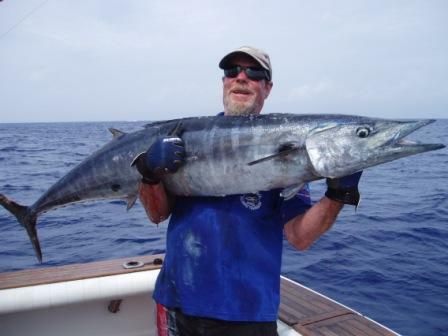 It is common to get your entire spread mauled in a mass pack attack and wahoo are often seen flying through the air to land on lures. 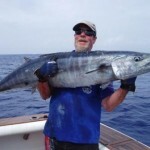 The average size pack wahoo is usually around 50lbs with the pack also having a few smaller fish around 30lbs and a couple of monsters to 100lbs. 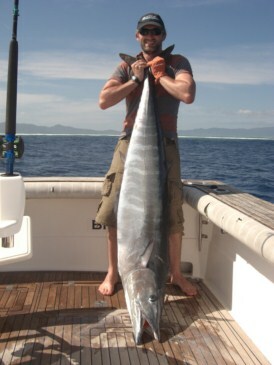 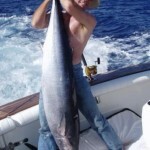 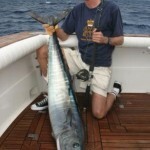 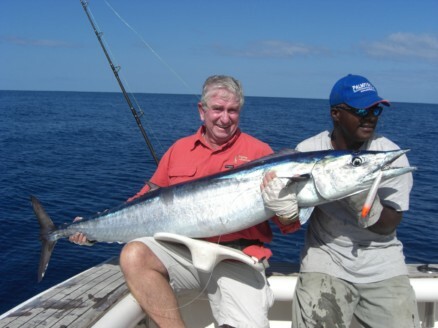 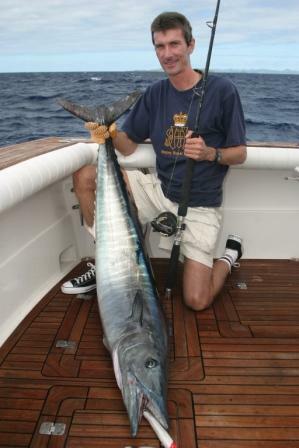 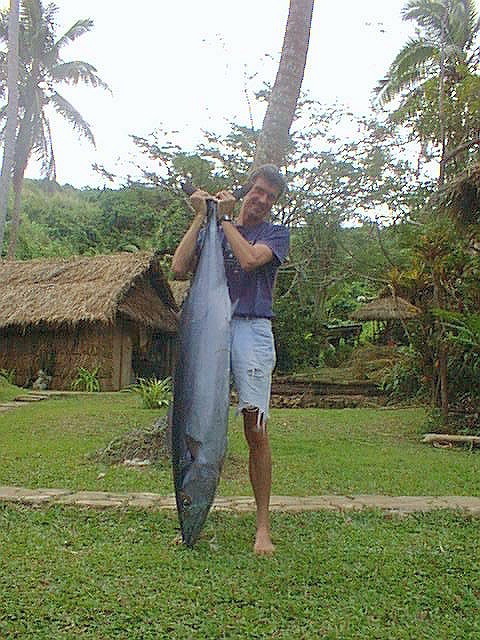 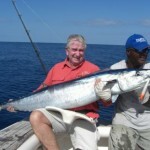 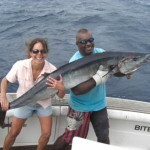 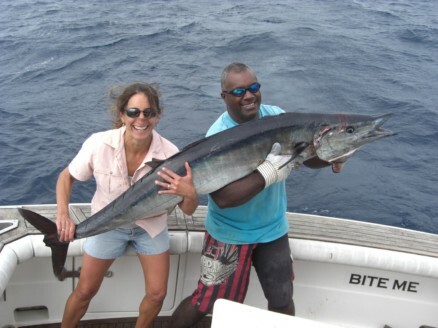 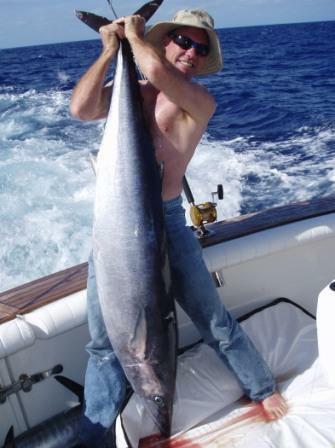 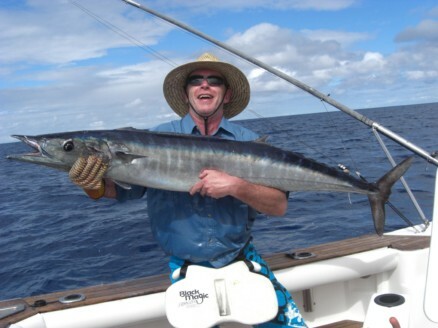 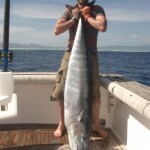 The wahoo is reputed to be the fastest fish in the ocean though the sailfish also contends for that title. 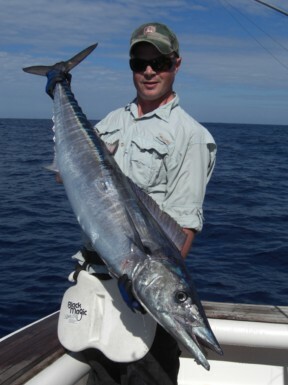 Often caught around the world on heavy tackle marlin gear, these fish really come into their own when hooked up on light tackle. 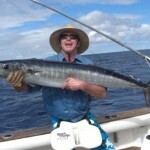 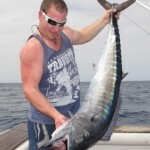 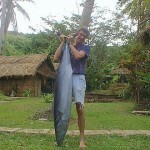 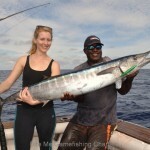 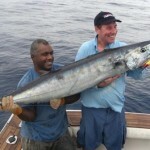 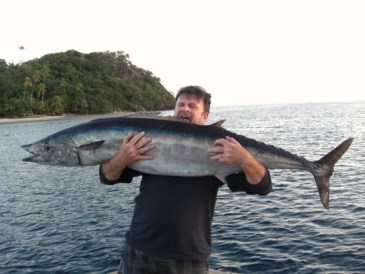 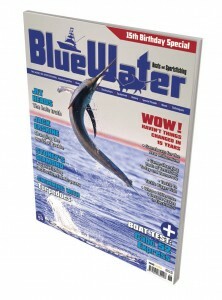 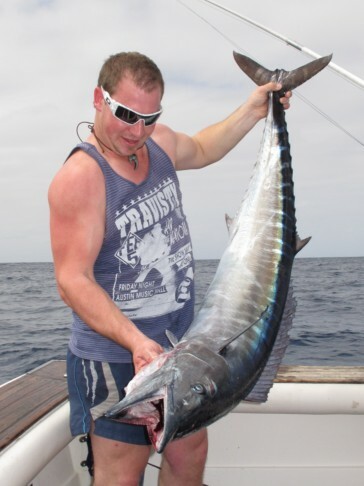 The speed of the attack and subsequent run is quite extraordinary and something every angler should try to experience.